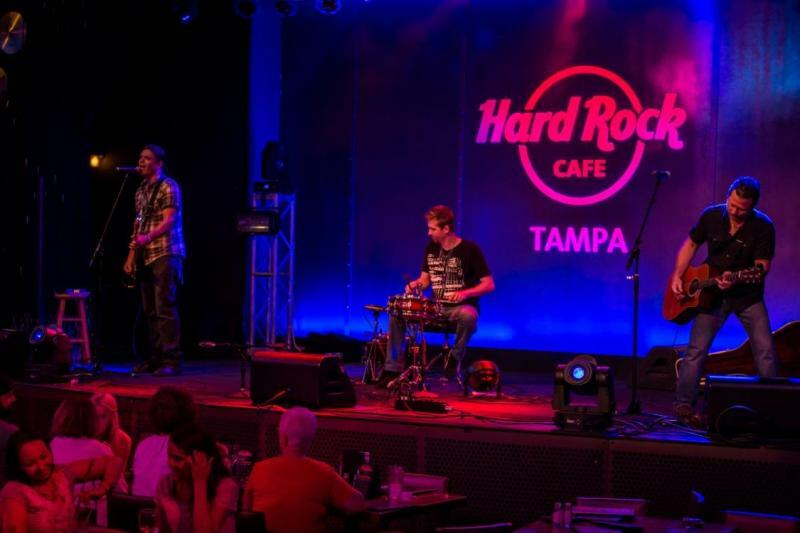 The Tampa Bay Acoustic Music Festival has filled the Hard Rock Cafe with some of the best local acoustic music all during the month of June. The Festival came to a close Sunday evening with superb performances by Joey Mazzant, Drew Richter, Adam Westfall, The Ben Carter Band and Kings County. Joey Mazzant kicked off the night with a keyboard performance unlike anything we’ve seen during the festival. Joey comes from a large, rather musical, Italian family and started playing piano when he was 6 years old. He grew up in Pittsburgh, playing in bands with family members, as he says, “when you’re Italian, you and your relatives get together and the next thing you know you have a band”. Joey also always had a love of comedy. When he was 20 he traded the Pennsylvania snow for the Florida sunshine and worked at several theme parks in Orlando, playing music and doing improv comedy. Joey played a set of cover songs on the keyboards mixed with a comedy show. 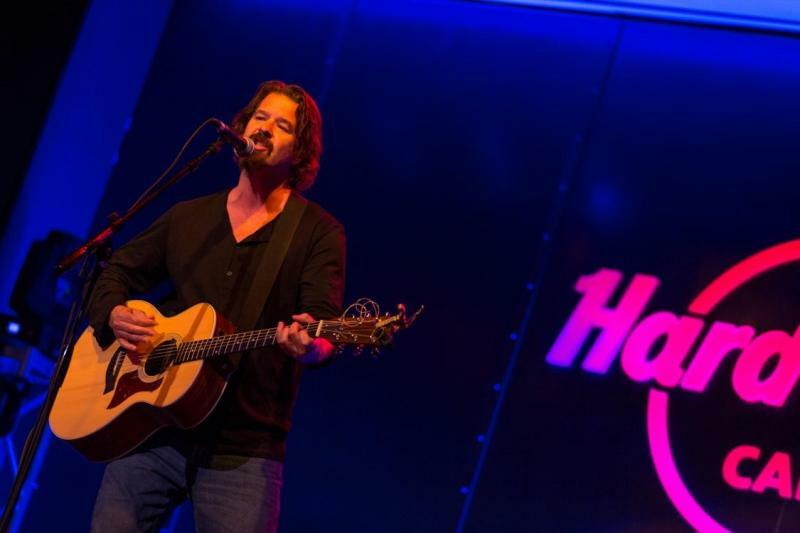 Joey had the crowd in stitches in between songs including “Wanted Dead or Alive” by Bon Jovi, “Don’t Stop Believing” by Journey, “Folsom Prison Blues” by Johnny Cash, and “Colder Weather” by the Zac Brown Band. For a little song with a show, find Joey here. Next up was singer-songwriter Drew Richter. Born in Huntsvile, Alabama, Drew started playing guitar when he was 15. He joined a band shortly thereafter playing mostly gothic music and co-wrote their first album. His love of music has taken him to several cities including Miami, London, Amsterdam, and Nashville. Each place has influenced his music and writing in different ways. Drew finds the most joy writing songs. 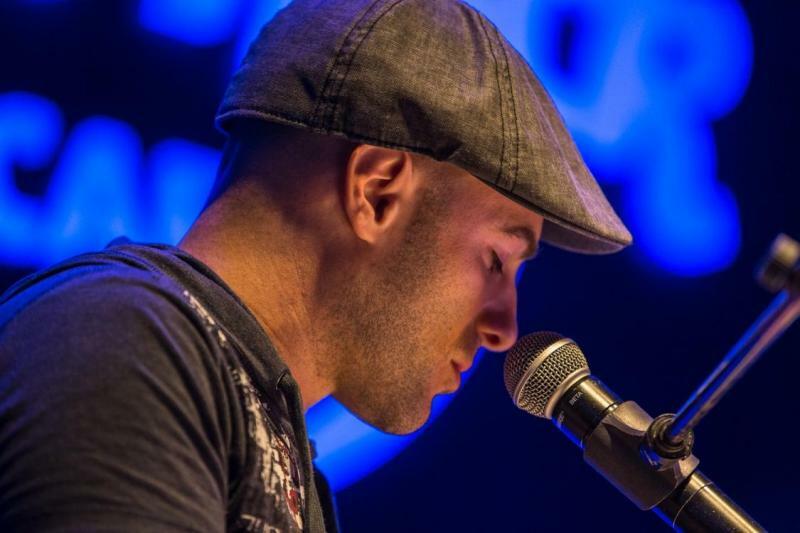 Drew wowed the crowd with his soulful voice and played a set of all original music. He describes his lyrics as “more poetry than storytelling, more vague and abstract”. Songs included “Moment I Was Broken” about failing at that critical moment, “when you called my name, when you were ready, I couldn’t do it”, “Whatever Happened to You” wondering whatever happened to your first crush and “One Breath Away” battling with your inner demons, wondering if you are good enough. Drew recently completed recording his first full length solo CD titled Snake Smile. It’s due for release in the next few months. Until then, smile at Drew here. 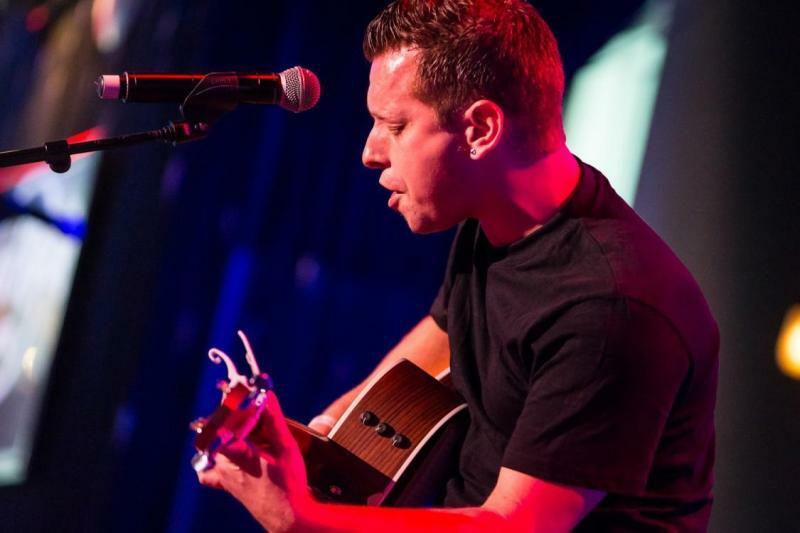 Adam Westfall took the stage next for a passionate set of all original music. Adam started playing electric guitar when he was 8, joined a band in 7th grade and did a pilot for the TV show Star Search. 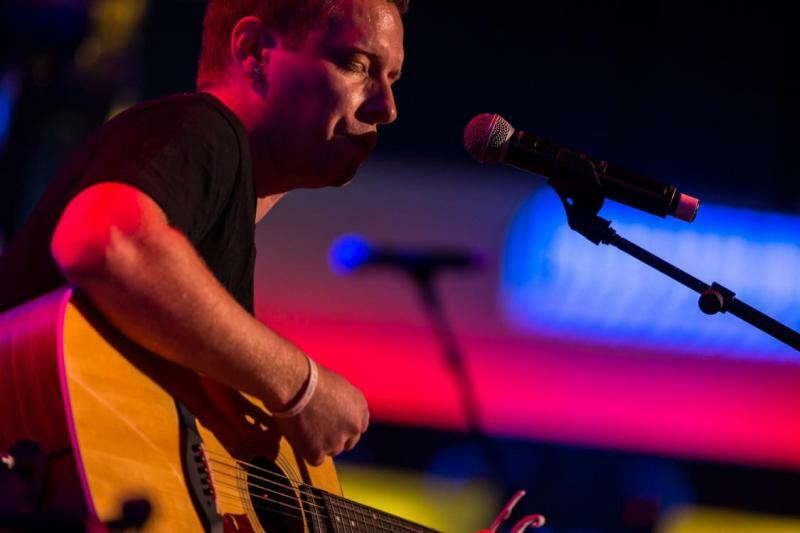 He moved to Florida 5 years ago, picked up the acoustic guitar, started singing and toured with a church group for a year. Things changed drastically for Adam when his mother passed away 3 years ago. He started writing and the “songs came pouring out” as “messages from her”. Adam puts his heart into his songwriting as he finds it’s the only way he can express his emotions and get his feelings out. Adam’s heartfelt set included songs “Something Like A Lie” about times when we act like we’re ok on the outside when we’re really not ok on the inside, “Freed” about that old saying, if you love someone let them go and if it’s meant to be, they’ll come back and “Dead Inside” about a friend who feels “dead inside” after losing everything he had in life due to drugs. Adam is taking a few months off to focus on writing and doing more background music. While he’s on break, keep up with this talented musician here. The Ben Carter Band raged the stage next for a toe tapping, booty shaking good ole’ time. 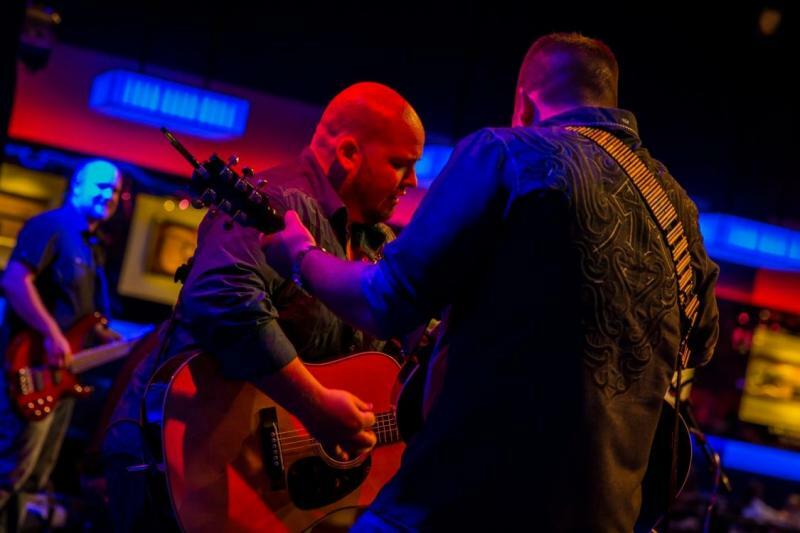 Composed of Ben Carter on guitar, Matt Wilsey on drums, Preston Nazworth on guitar, and Dustin Boone on bass, The Ben Carter Band has been putting their spin on music for the past 5 years. Matt and Ben met while playing in church together and realized they had something special. Preston joined the band 2 years later and Dustin signed on 1 year ago. 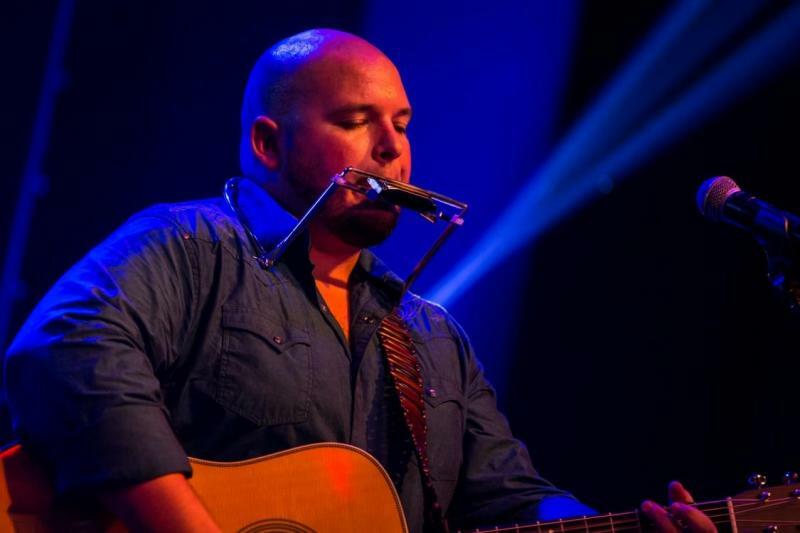 The Ben Carter Band is very vocally driven and is heavily influenced by gospel and country. They write some original music but focus mostly on taking cover songs and making them their own. They played one original song “Scratch On This Guitar” about the bumps, bruises and scratches on a guitar and how every one represents a memory of a place they played. Everyone was dancing to their cover songs including “3am” by Matchbox 20, “The Weight” by The Band, “Walking in Memphis” by Marc Cohn, “Folsome Prison Blues” by Johnny Cash, and “You Can’t Always Get What You Want” by the Rolling Stones. For a good time, follow The Ben Carter Band here. Closing out the festival was energetic party rock band Kings County. 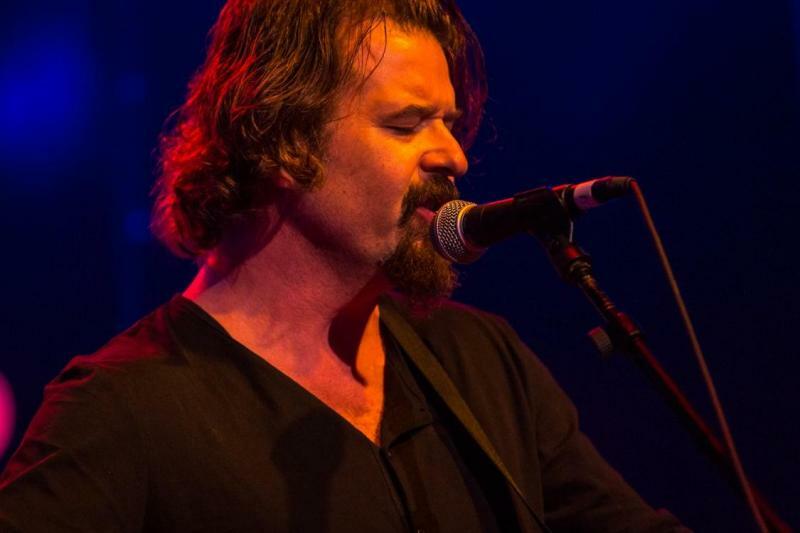 Composed of Steve Bell on vocals and guitar, Rob Dexter on vocals and bass and Brad Johnson on vocals and drums, Kings County has been performing together for the past 8 years. They are originally from New York and Massachusetts but relocated to Orlando to play as the house band at Pleasure Island. 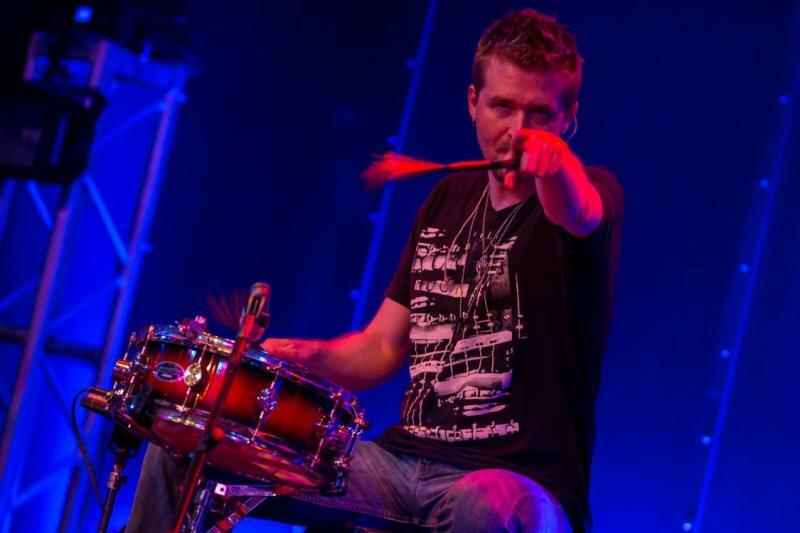 In addition to playing in venues across the eastern United States, they have performed with Styx, Hootie and the Blowfish, Joan Jett, Cowboy Mouth, 38 Special, Duran Duran, The B-52’s, Fuel and Foreigner. Kings County played a rockin’ set of covers including “The One I Love” by R.E.M., “Lovesong” by The Cure, “Feel So Close” by Calvin Harris and “Wagon Wheel” by Darius Rucker. See Kings County at the new Yeoman’s Cask & Lion in Downtown Tampa on July 3rd or keep up with them here. Sadly, that’s a wrap on the Tampa Bay Acoustic Music Festival. 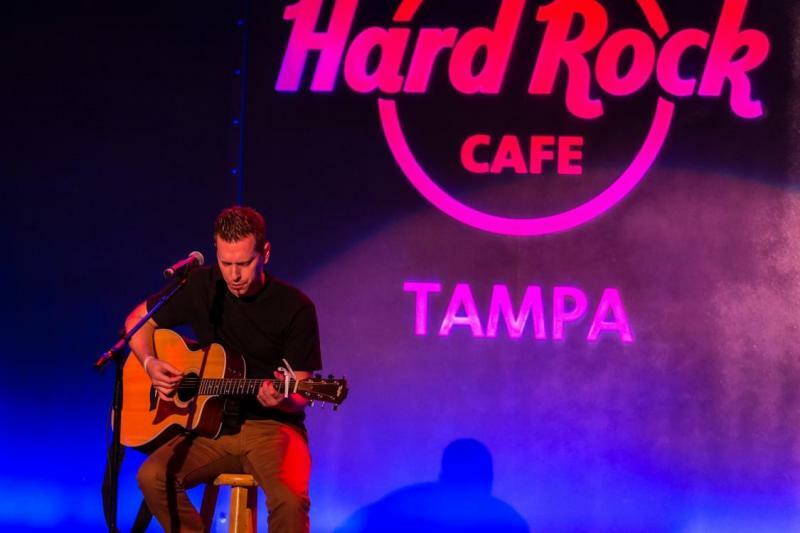 It’s been an incredible month of acoustic music at the Hard Rock Cafe with performances by Michelle Branch, Bret Michaels and 70 local Tampa Bay musicians. 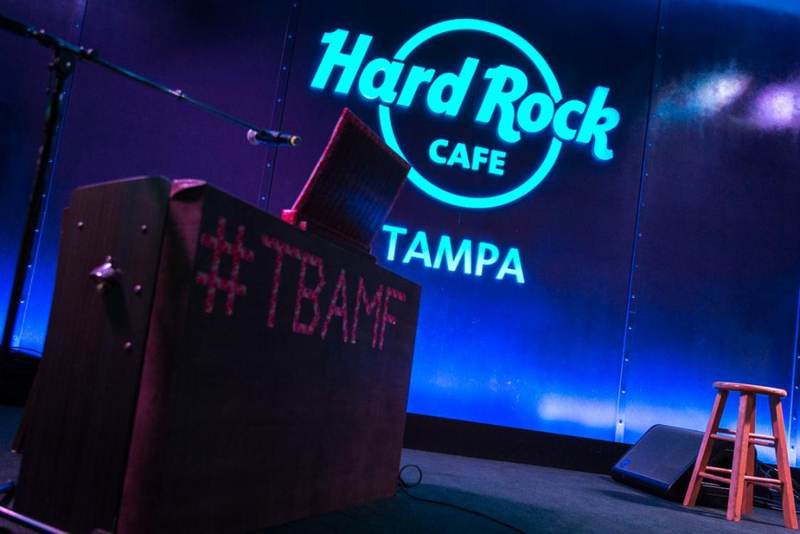 Sincere thanks to the Seminole Hard Rock Hotel & Casino Tampa and sponsors 98 Rock, Dean Guitars, Big 3 Records and Hard Rock Energy Drink for putting on this festival and giving these talented musicians a place to share their music and do what they love. 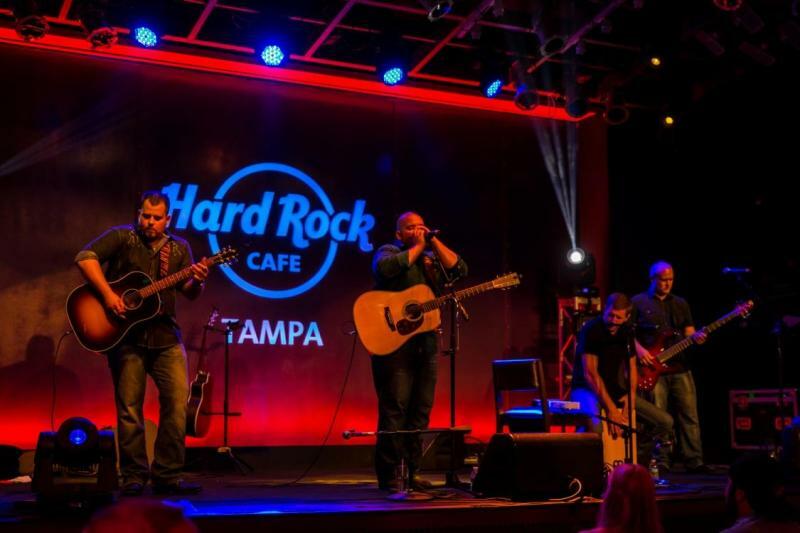 Because of you, we’ve seen some of the best acoustic music the Tampa Bay area has to offer. Thank you for making this happen! Hope to see you again next June. 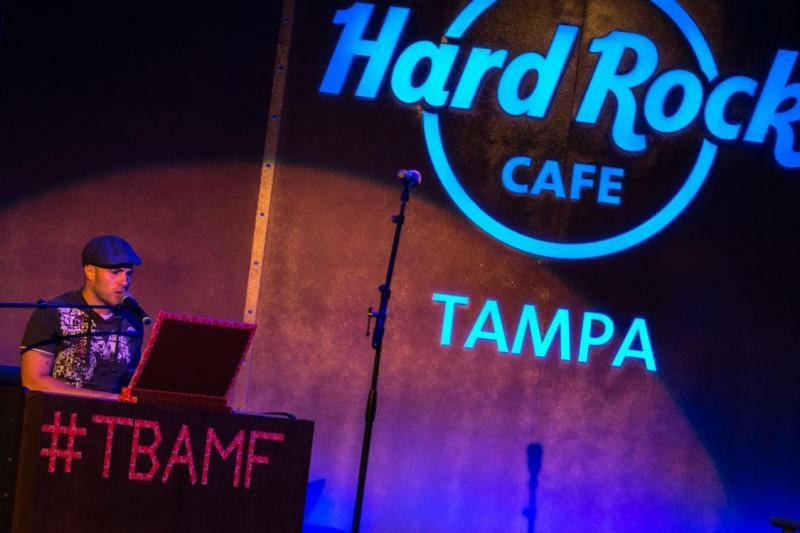 Previous PostTampa Bay Acoustic Music Festival at Hard Rock Cafe – June 27thNext PostIt’s a Tampa Bay Acoustic Music Festival at the Hard Rock Cafe Wrap Party!